*Sponsored Post: I was hosted by this Inn, however, all opinions are my own. Traveling around with kids (especially smaller ones) is an adventure all on it's own. The preparation, snacks, entertainment, constant change of clothes or shoes (because your special needs child got dirty or wet), and everything else, can be exhausting. So where do you go to find a good night's rest?! My family and I have stayed in hotel's and Airbnb's, but I wanted to find something that had that extra.....something! We definitely found it on our trip to Greenville, South Carolina! 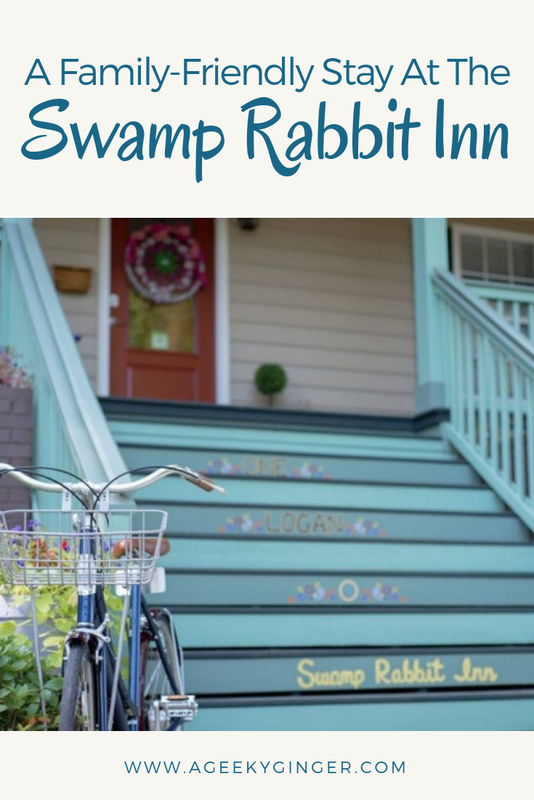 We had the wonderful privilege of staying at the Swamp Rabbit Inn, which is in the heart of Greenville. I honestly don't even know how I'm going to describe how amazing this place is, but I will try. 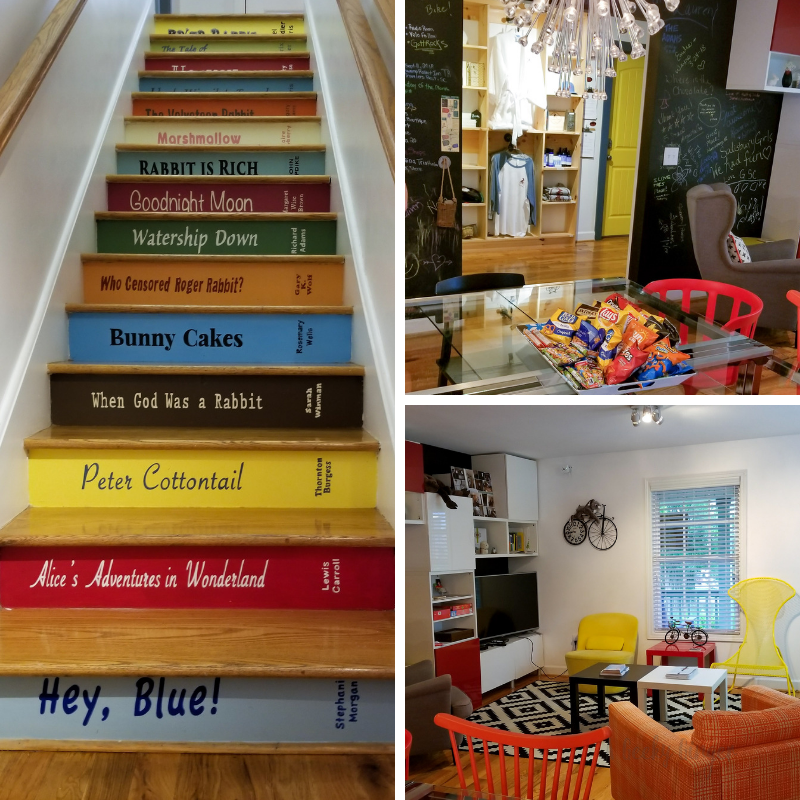 The Swamp Rabbit Inn is a gorgeous modern bed and breakfast in Greenville and Travelers Rest, South Carolina. We stayed at the Greenville location during our trip. Both locations are on the Swamp Rabbit Trail (guess that's where they got the name, huh?) and offer bike rentals! So even if you just want to come through and rent a bike to enjoy the trail, you can. How cool is that?? All of the rooms at Swamp Rabbit Inn have their own private en suite, TV's, wifi, Keurig coffee maker, robes, etc. They are gorgeously decorated, as well. 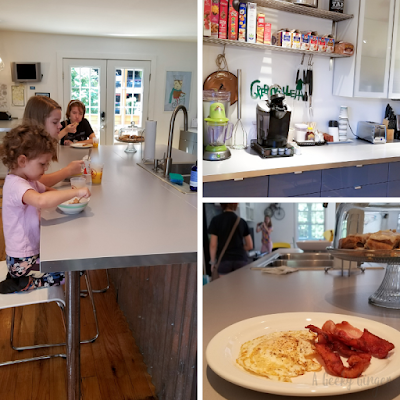 In the kitchen, they provide everything you may need for a hearty breakfast and even have fresh danishes available (doesn't do much for this gluten-free gal, but the kids enjoyed it lol). 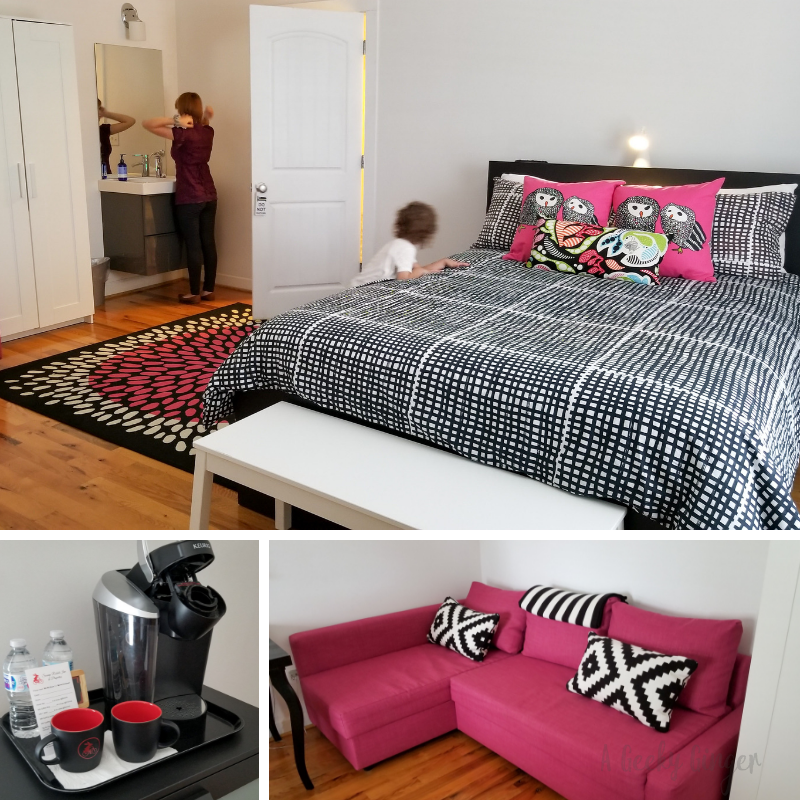 Our family stayed in the Double Owl room, which had a queen bed and a sleeper sofa (Ikea style), which fit me and the 3 girls perfectly! Honestly, with all the hiking we did on our travels, this place was absolute perfection to rest our heads. Plus, with being right downtown, we could walk wherever we wanted to go and could have food delivered to us for dinner. Perfection. The decor in the living area of the Swamp Rabbit Inn is so cozy and quaint. The stairs leading up to the bedrooms are painted with different books that include rabbits in the stories... how cute, right?! Some of the walls are painted with chalkboard paint, and there are little baskets with chalk in them, so you can leave your mark. That's way better than any guestbook I've seen! This bed and breakfast has all of the conveniences you want, need, and wouldn't even think to ask for, all wrapped into one beautiful place. The fact that the space we had was ours, it truly made us feel "at home". Which is so important when traveling with any kids, but especially with special needs kids. They need a quiet, comfy place to rest their heads and Swamp Rabbit Inn definitely provided that for us. The ability to go downstairs and make them a nice breakfast and give them all the energy they need to start the day, while they can still be in their pj's, helped a ton, as well. My family and I will absolutely be visiting this inn again! If you get the chance, check them out. Even just for a bike ride! You'll love it. What is the #1 thing you look for, when searching for a place to stay during your travels?? Share in the comments!! What a great place to relax and enjoy while still being close to the trail to get out and explore all mother nature has to offer. Looks so spacious, clean and cozy and like the idea of renting bikes to get around as well. This is such a cute and cozy place! I will be putting it on my places to visit for sure! This looks like the cutest little place to go. I love all the colors and the family friendly aspect! So nice to have you as our guests and thank you for the wonderful, heartfelt post!! Hope to have your family stay again! Maybe at our Travelers Rest, SC location which also has a pool!! Bonus! I like the personal touch, the feeling that even though you're just visiting, you are welcome.